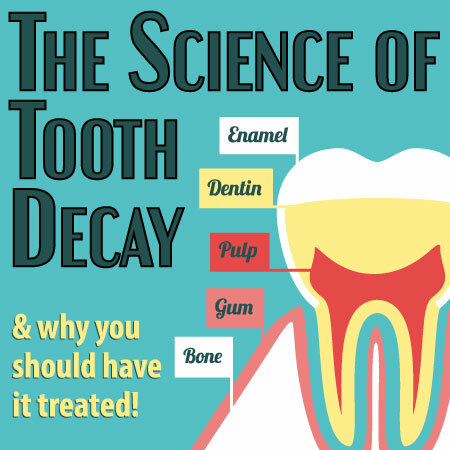 If you’ve visited our blog before, you know that we love to talk about tooth decay. The chances are, everyone in Shelby has had or will have tooth decay at one point. It is classified by the National Institutes of Health as the most prevalent disease in the world. Today we’re going to talk about a few of the factors involved in causing tooth decay and what you and Dr. Miller can do to protect your smile. Even within your own mouth, teeth vary widely in shape, size, and the quality and consistency of enamel formation. Some teeth are harder than others, and some, especially molars, may have deep fissures that can trap decay-causing bacteria. Additionally, defects in way enamel forms can cause yellow or brown areas on your teeth that are more susceptible to caries (tooth decay). Research indicates that the acidity of your mouth plays an important role in facilitating tooth decay. A low pH (an acidic state) allows decay-causing bacteria to thrive. Acidity is affected by the quality and flow of saliva, diet, and a number of other factors. For example, after eating carbohydrates, Shelby residents will experience a temporary drop in the pH of their saliva. One of the biggest and most easily controlled risk factors for tooth decay is diet. An unhealthy diet rich in sugars and sticky foods will increase the amount of plaque formed and lower the acidity of your saliva. You may think of it as gross, but Dr. Miller and the entire dental community regard saliva as a wonderful substance that is essential for the health of your digestion and your smile. Saliva is instrumental in keeping the acidity in your mouth at optimal levels, helping teeth remineralize after acid attacks from tooth decay bacteria, and washing away plaque from teeth. Reduced flow (dry mouth) or inadequate quality of saliva can aid in the formation of caries and will almost certainly give you bad breath. The best weapon you have against tooth decay is a commitment to good oral hygiene. That means brushing and flossing properly twice a day. While some of these factors are beyond your control, visiting Discovery Dental for your biannual cleanings and checkups will help you keep your smile happy, healthy, and decay-free. Call us today to schedule your next appointment!